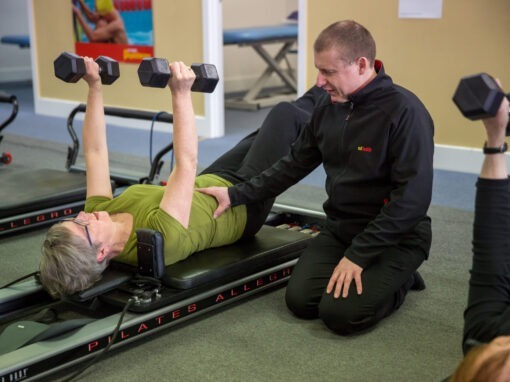 Our personalised Pilates program is suitable for everyone, including those with musculoskeletal pain or injury. 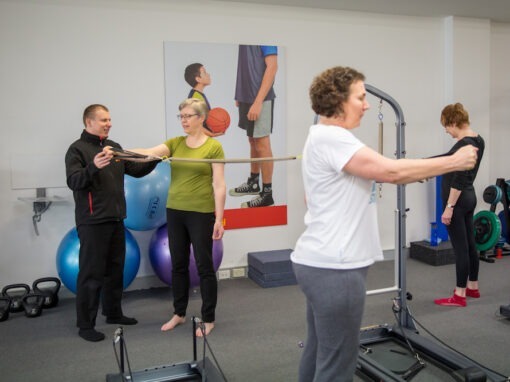 By working to an individual program, designed & fully supervised by qualified physiotherapists and exercise physiologists, you can be assured that the training you do is right for your body. 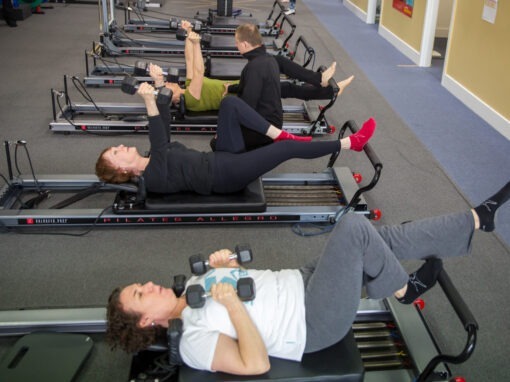 Whether you would like to be more active with your children or lead a more adventurous lifestyle, MD Health Pilates is the first step to a healthier you. What is each session like? During each carefully supervised session, our physiotherapist or exercise physiologist will take you through specific exercises according to your treatment plan. We regularly update your program to ensure the exercise mix is both effective and interesting! Real results can be achieved with just two half hour training sessions a week. Your program is unique to you and tailored to achieve your specific goals using a range of equipment and exercises. Getting started with MD Pilates is easy. Just follow these steps and you’ll be well on your way to a healthier you! Our Physiotherapists and Exercise Physiologists will talk to you about your short-term and long-term goals. These can range from being more active with young children and losing weight to regaining movement after an injury, pain or surgery. Over the course of an hour we will test all your major joints to discover where injury, pain, lack of strength or core stability are limiting your movement. After your full body assessment, our Physiotherapist/Exercise Physiologist will create a personalised program that’s right for you. There are no lock-in contracts. Our personalised program is designed based on the fact that our body needs at least two sessions a week to make the necessary change to improve for long term.